I come from Andros, the village of Mermigies and have lived in England since 1971. I visit Andros regularly and stay for long periods. 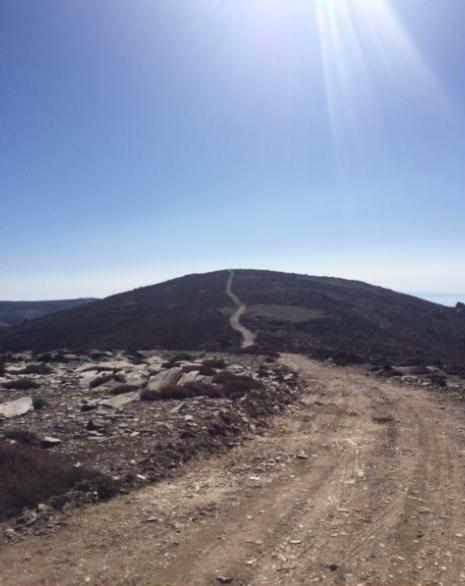 During my frequent visits I often go for solitary walks and runs exploring the hills and valleys of Andros. In the last few years I have been helping friends who carry out voluntary work restoring old paths. Thirty years ago I took up the sport of fell running (hill running/mounting running), which is quite popular in the United Kingdom. 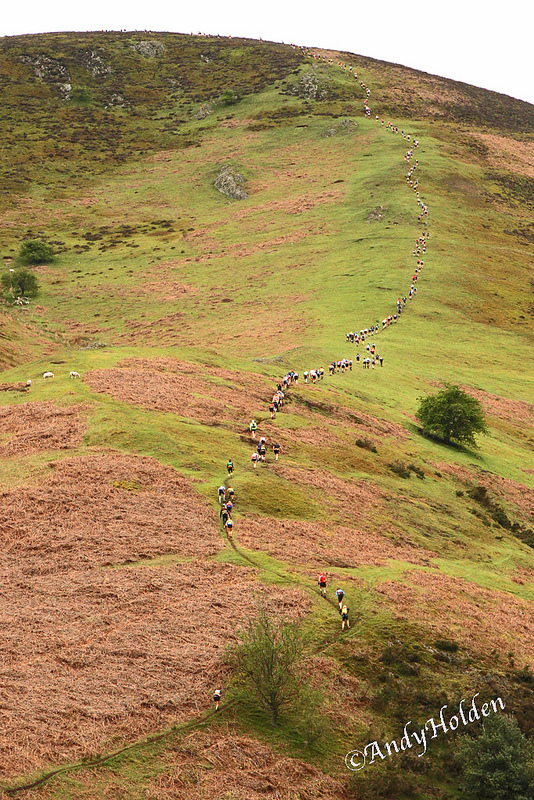 The nature of the terrain in the UK is particularly suited to this sport – grassy hills, lack of forests and a well developed path network. 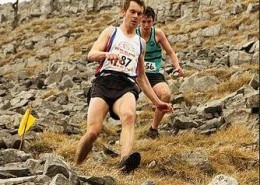 I compete regularly in fell races with preference for long distances and have done a number of challenges lasting over 24 hours. 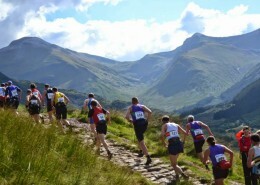 The famous English explorer Sir Runulph Fiennes has been my companion in a number of team events and mountain marathons. 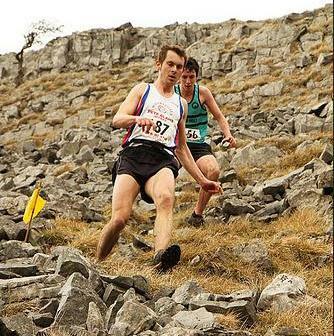 A brief biographical note can be found in the website of the Fell Runners Association (FRA). 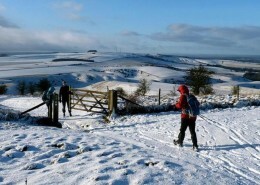 Information about some of my long distance adventures appears in this website. 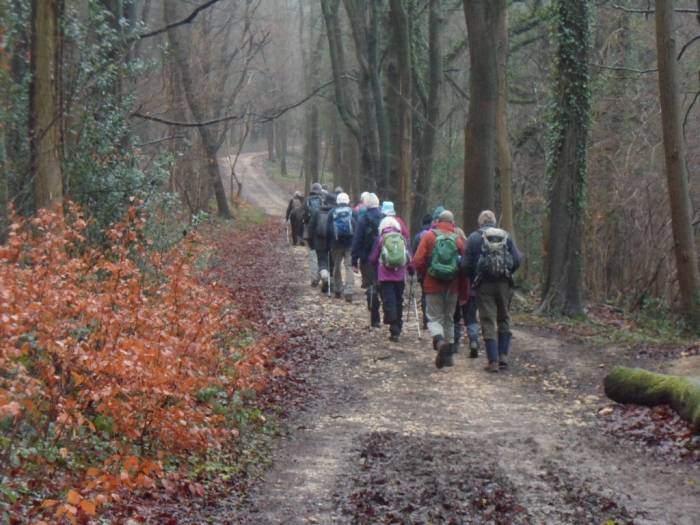 Walking is a popular pastime in the UK and a significant proportion of the population spend their free time visiting the countryside and climbing mountains. 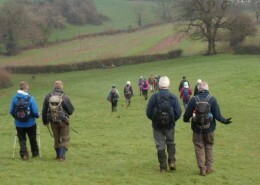 There are in the UK associations which organise group walks, with local branches across the country, e.g. 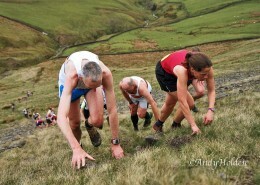 the Ramblers, the Long Distance Walkers Association and fell races, e.g. 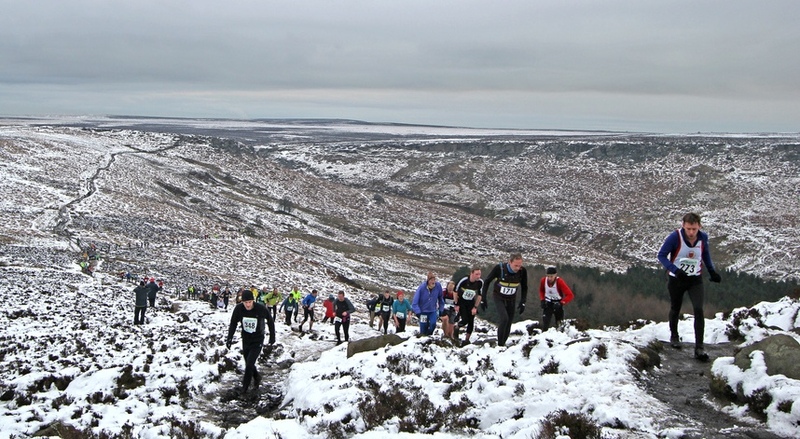 the Fell Runners Association, Welsh Fellrunners Association, Scottish Hill Runners. They operate according to sets of rules for safety and conduct, arrange liability insurance and publish diaries of events giving details on date, location, distance, checkpoints, personal safety requirements etc. 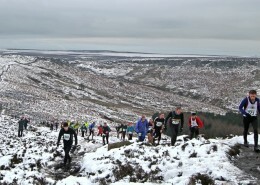 Group walks and races use as event centres country towns and villages, pubs, village halls, community rooms and schools. As a result small rural communities benefit from sale of local produce, contributions from the event proceeds and donations. 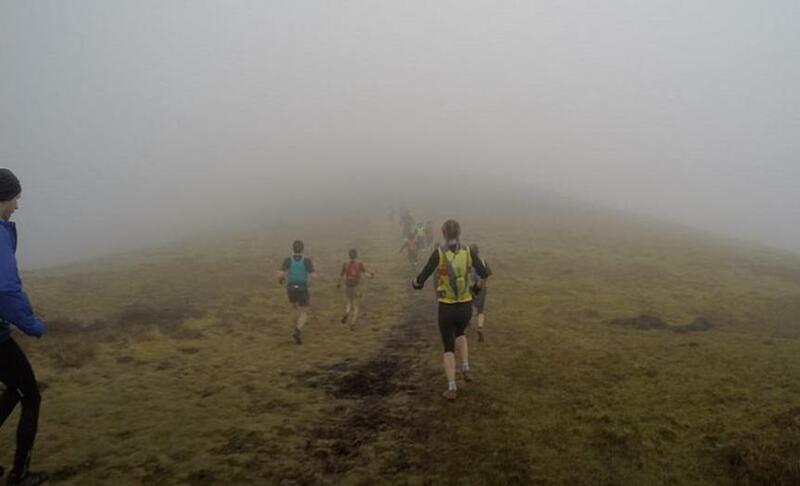 As well as fell running I sometimes take part in organised walks in the UK and when I am in Andros I join in the walks organised by ‘Andros Routes’. 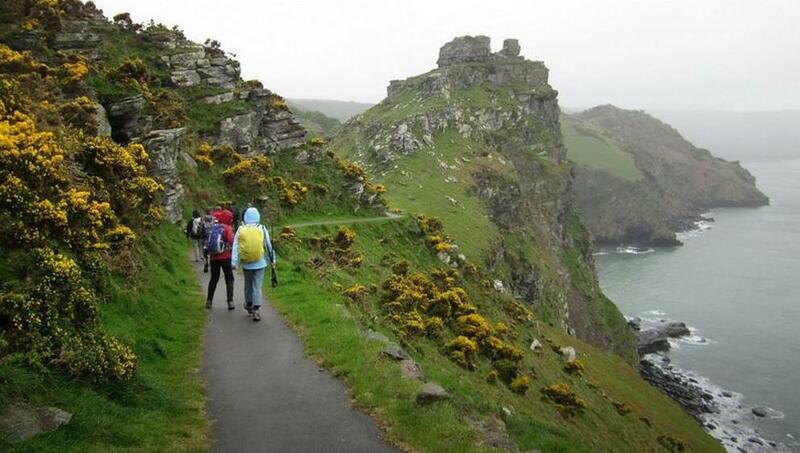 It is my desire to bring to Andros part of my outdoors experience, assist ‘Andros Routes’ with the guided walks and eventually help progress towards competitive walks and runs. 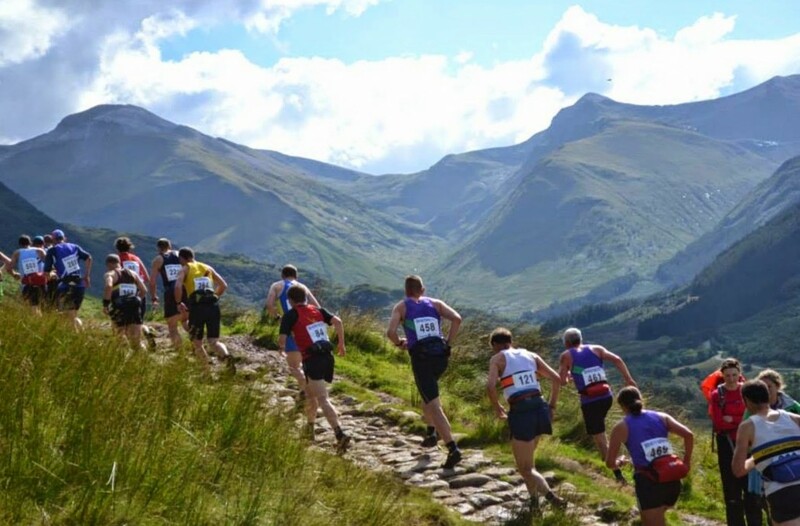 A number of my fell running friends from the UK have already visited Andros and have expressed an interest to help in the path restoration and the development of off road events. I grew up in Andros immediately after the war in a rural environment where money did not have the influence it has in peoples’ lives today. The people, apart from those who went to sea, stayed and worked on the island; they had all the basics needed to live, without the conveniences of modern life i.e. electricity, telephones and roads; they cultivated the land to feed their families. A small amount of local produce and animals were traded, be it for very little profit. The mass migration of people from Andros to Athens started in the 50s. I remember when the first family left our village. People abandoned the hard rural life for a regular wage, better access to education, health, etc. And then, little by little, the island changed. At the present time very few families live off the land and thus the land often presents a picture of abandonment. Stone walls are disintegrating, old orchards and terraces are been taken over by gorse. 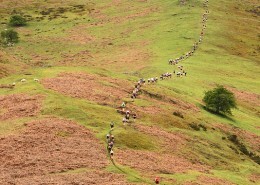 Hillsides which were planted with vines and fruit trees are left at the mercy of free grazing sheep and goats. And yet the number of houses in the villages has significantly increased, which may give first time visitors a false impression as to the actual size of the permanent population. Those new houses are second homes and villas belonging to people from Andros and elsewhere, mainly from Athens, many of them retired. The majority of those houses are locked up for most of the time. In a recent visit to Andros by ministry officials to discuss planning, concern was expressed at the decline of the population of the island and lack of cultivation and sale of local produce. One hopes that such findings can lead to support throughout the country for rural areas, which have for too long been neglected. The two areas that need immediate action for development are farming and tourism. The first is the hardest to achieve: Gone is the time when large families made a living on Andros without much help from the state. There need to be many changes to facilitate modern production methods and trade, which will help young families to live and prosper on the island. Farming on Andros is obviously subject to strict limits posed by the mountainous geography. But this apparent disadvantage can be counterbalanced by parallel developments in tourism based on that geography. 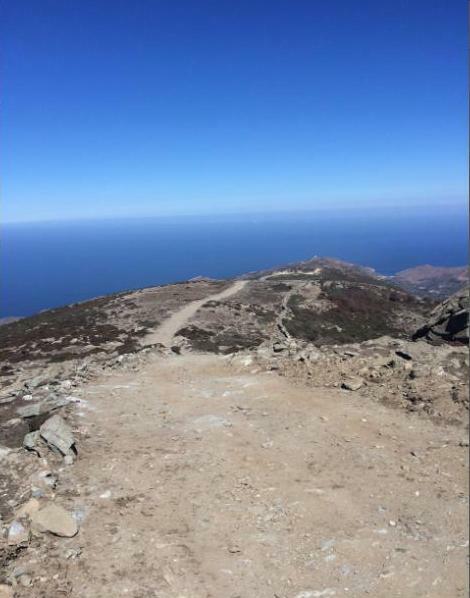 It is with this objective in mind that an enthusiastic group of people from Andros and elsewhere started the voluntary movement ‘Andros Research Centre’, with the aim to restore many of the old paths and roads and put Andros forward as a place for visitors to enjoy outdoor activities. Since ancient times and before the advent of mechanised transport, travel and transport of goods was done on foot and using donkeys and mules. The island had a complex network of roads and paths that linked the scattered villages and properties. The most iconic type of road was the ‘Steni’ (narrow), a road between walled fields, wide enough to accommodate a laden donkey. Andros has never been a mainstream tourist destination like other Greek islands. Most visitors are indigenous, mainly from Athens due to its proximity to Andros. The few foreign visitors coming to the island are usually those who instead of a lively night life are looking for quiet beaches, hills and green landscape. The aim of the ‘Andros Research Centre’ is for Andros to become the main destination of those tourists. 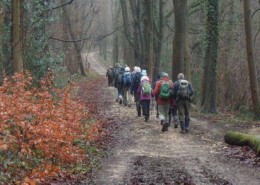 Five years after this voluntary movement came into being, the island is reaping the benefits. More foreign as well as indigenous visitors come to Andros, buy the ‘Andros Routes’ maps and walk on the restored paths or join guided group walks. The local and regional authorities have been supportive of the work carried out by ‘Andros Research Centre’ although they cannot as yet offer financial support due to the economic crisis. The voluntary work continues to depend on gifts and proceeds from the sale of maps, leaflets and locally produced goods. 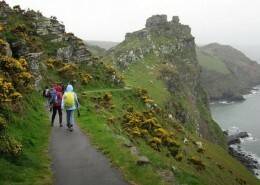 But there is a vital role for the island authorities to play: it must act to curtail badly planned and illegally constructed tracks, which damage the landscape and often result in the destruction of old paths. 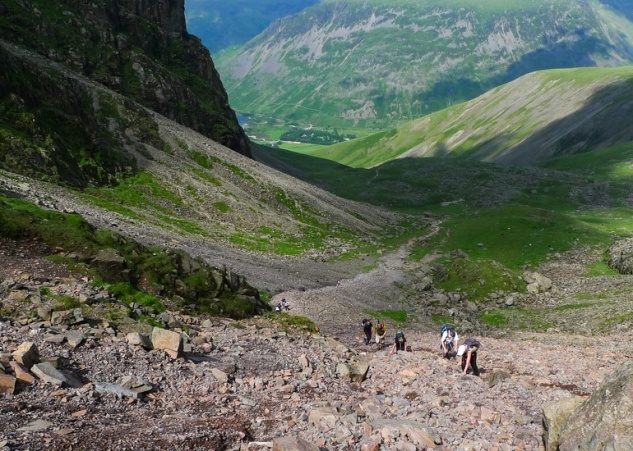 If the authorities really care for the place, they must take action, otherwise the drive for a successful trekking and hill walking programme will fail. 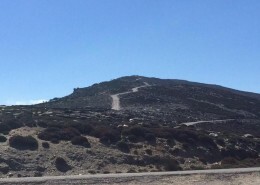 KOUVARA: The jewel of Andros, higher than England’s Scafell Pike. 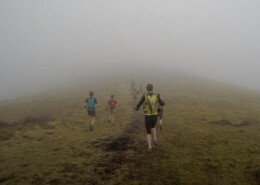 NO to the ridge track! Andros is divided geographically in five distinct regions by four hill ranges. 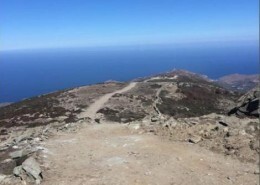 The longest and highest one is that of Kouvara; it extends for 16km along the widest part of the island and its summit has a height of 997m from where there are splendid views in all directions. 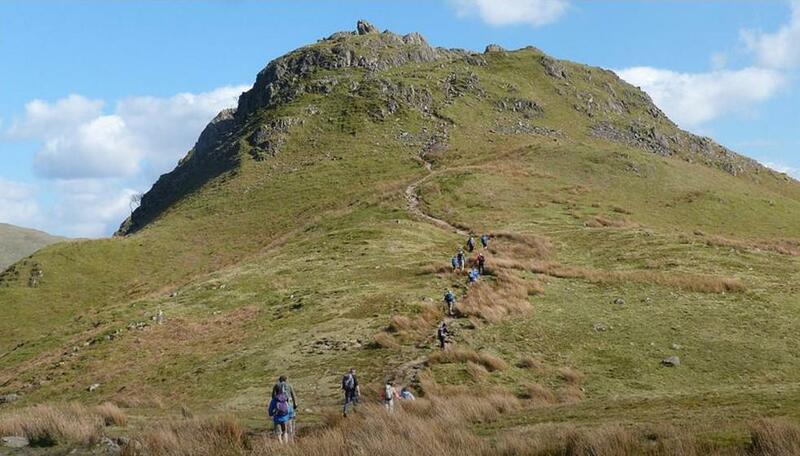 This mountain could be a real magnet for those who enjoy mountain climbing. 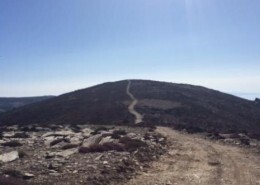 The mountain is not visited very often and ‘Andros Routes’ has been planning to reopen ancient paths to the mountain from the south via the villages of Aprovatou and Palaeopoli in an effort to create new and interesting routes of access to the ridge. It is regrettable that recently someone had a ‘bright’ idea to construct an illegal road along the main part of the ridge, starting from the main road between Arni and Vourkoti and ending at the south top. 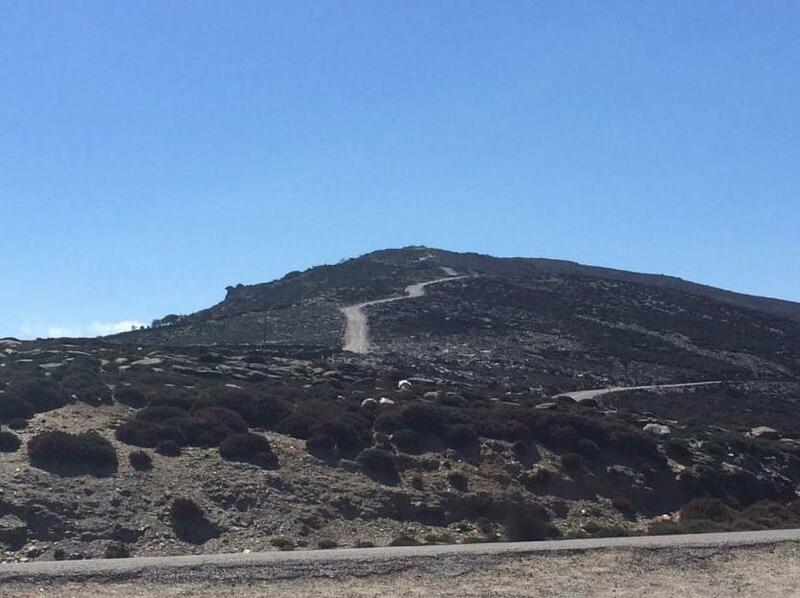 This is a serious setback for the efforts to promote walking on Andros. Unfortunately the mayor of Andros did not seem unduly concerned when asked by myself to look into this serious matter. It is hoped that the authorities will respond to pressure from the ‘Andros Research Centre’ and close that shameful road. Nature can then reclaim the landscape and repair the scar and save the walkers from having to share this great ridge with off road vehicles. 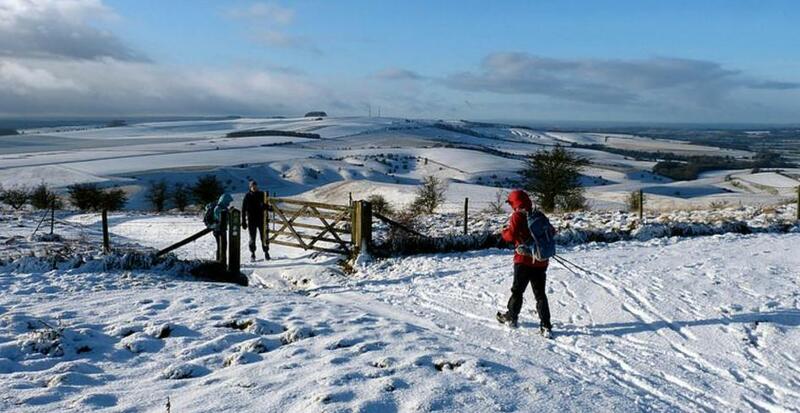 My experience from the UK is that the countryside is respected and treated as a place for recreation and exercise. 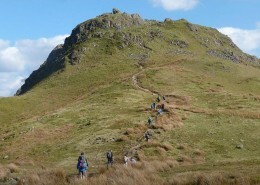 Many people walk regularly in the countryside and climb the mountains. Illegal interventions, such as the one in Kouvara are virtually non-existent. 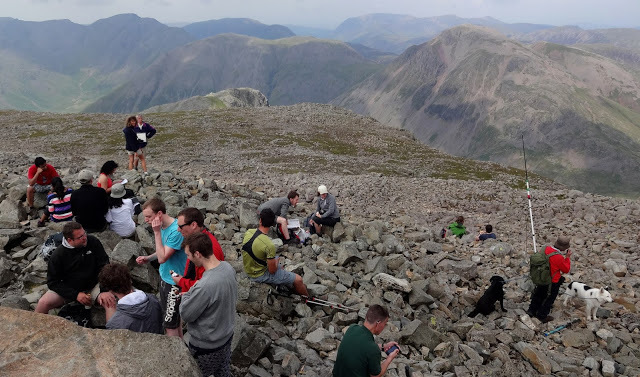 The highest mountain in England, Scafell Pike (978m) is lower than Kouvara. 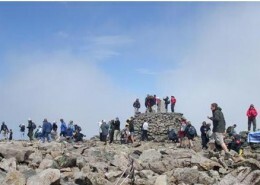 Skafell Pike. 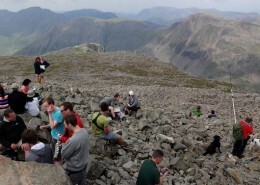 The mountain is busy with people at all times. 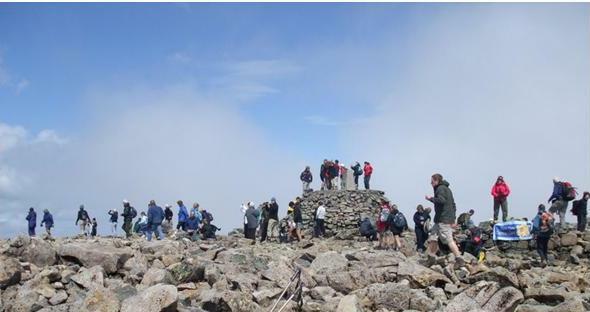 Ben Nevis, 1344m, the highest mountain in Scotland (and Great Britain), always busy. Both poles for the development of Andros require good planning and application. 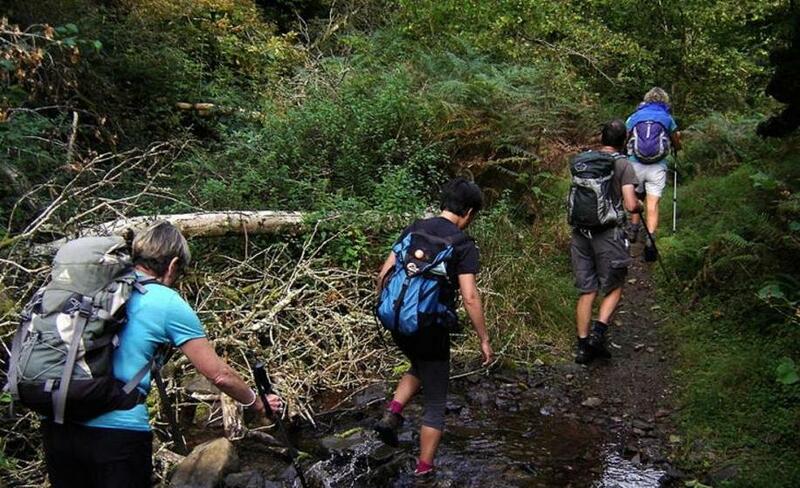 Walking tourism must be organised in such a way as to give pleasure to the visitors and at the same time respect the needs of the locals who live and work there. 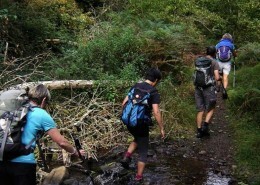 It is obvious that voluntary efforts are not sufficient to achieve the objectives without the active support of those in authority; they have the power to see that things are done properly and can intervene when necessary so that Andros becomes a desirable destination for good outdoor tourism. 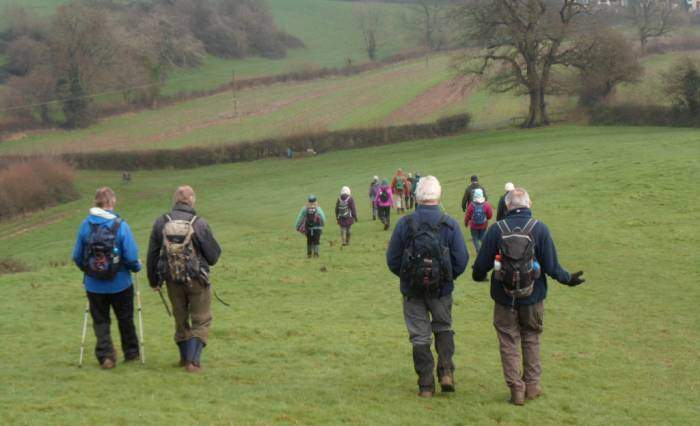 Agricultural production can be helped by tourism as local produce can be offered for sale locally, given appropriate legislation in favour of this. It is hoped that all parties, local people, authorities, volunteers and professionals will do their best to connect those two poles: tourism and agricultural production.